The infertility statistics in the United States are a bit inconsistent, depending on the source you reference, but let’s face it, if you’re someone who’s struggling to get pregnant; statistics are the least of your concern. It doesn’t matter what the numbers say, all that matters is what you’re going through personally. If you’re like most women I’ve worked with, you feel that you’re on a rollercoaster consisting of the strong desire, or even what feels like a need, to have a child; flashes of hope; tuning into even the slightest physical sign that something different is happening inside your body; anticipation of a positive outcome; then the emotional plummet when your hopes are dashed. The upset, the anger, the strain on your relationship, the hopelessness and then the energy and effort required to pick yourself up to get on the ride again can be overwhelming. In fact, 55% of people polled believe that difficulties getting pregnant are more stressful than being unemployed and 61% feel that they’re more difficult than getting a divorce. If you’ve had the additional challenge of having a miscarriage, there is a whole other range of emotions that you’re dealing with. Thankfully, there is help, and that help lies within you. I know you’ve probably spent a lot of time researching, consulting and paying for outside resources, but I can honestly say that the best one I know of is your subconscious mind – the mind that’s known as, “the body’s mind or the emotional mind.” This is the mind that’s fine-tuned to what’s really going on vs. what the conscious or rational mind believes, fears, or has been told is going on. The best way to access this part of your mind is through hypnosis. During a hypnosis session your subconscious mind can identify your body’s full potential to conceive and carry a healthy child to term. Once it has identified your body’s full potential, it can also identify the various blocks and barriers that are in your mind and body’s way of realizing that potential. For example, I was working with one of my fertility clients last week and we bumped in to the mental block of, “I’m too busy.” A large part of her desperately wants a second child, but her internal mental dialog has been “busy,” ever since the birth of her first child. Her subconscious mind let her know that it was preventing pregnancy because it was trying to protect her from being even busier and protect the new child from not having the love and attention it needs from their “too busy” mother. Another client’s subconscious mind was preventing pregnancy because she was not feeling fully committed to her partner and was often having thoughts about the relationship not working and her subconscious mind didn’t want her to be a single mother. The subconscious of another mother-to-be said that she needed to clean up her diet in order for it to be safe for her to get pregnant. It’s crucial to remember that the subconscious mind is the powerful and dedicated employee of the conscious mind, and that the instructions that the conscious mind issues, the subconscious mind follows unquestioningly, so the thoughts in the conscious mind must be in line with what is wanted vs. what is feared. Many of the pregnancy blocks I’ve found over the years sound like, “I’m too old,” “My mother, sister, friend had troubles conceiving, I probably will too,” and “I’ve heard how painful childbirth is…I’m scared.” All of those thoughts are literal instructions to the subconscious mind, and every one are counter to conceiving, so the most important thing is to begin to analyze your thoughts or the instructions you’re giving to the subconscious and make sure that the instructions you’re providing are in line with what you want to happen vs. what you fear won’t happen. Try, “If women in their 60’s can get pregnant then I certainly can.” “I am not any other woman, I am myself and my body was created to conceive and give natural healthy birth to a child.” “Someone else’s birth experience doesn’t need to be mine, hundreds of women give birth comfortably with hypnobirthing.” You mind needs to be in a positive, faith-based place so that your body can relax and do what it was born to do. Fear creates tension and impedes blood and energy flow. It creates a belief of “I can’t” within the body instead of “I can” and really mucks up with works. Fortunately, hypnosis can help. Having worked with hundreds of couples that were struggling to conceive (the key word is “were”) I can say that I’m consistently amazed at the variety of mental and emotional blocks that the subconscious mind finds. And, once those are cleared, I am time and time again pleasantly surprised by the body’s ability to do what it was born to do, which is to create and give birth to a beautiful baby. Research supports these women’s experiences. Dr. Ernest L. Rossi specializes in psychobiology, or the relationship between the mind and physical body states. 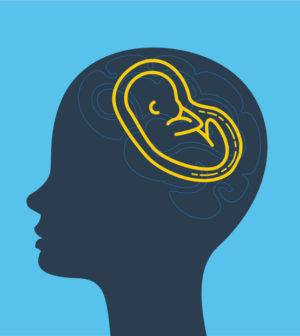 He has done extensive research to suggest that human genes must be in a state of physical readiness for conception to take place, and that hypnotic suggestions can activate specific genes in a specific order to help facilitate conception. Hypnosis is an amazing tool that can be used throughout the entire process. In my biased opinion, not using it is like trying to build a house without a hammer. Call for a free consult today, there’s nothing to lose (aside from your fear) and much to gain. Lisa Zaccheo, MA, BCH, BC is the owner, lead hypnotist and hypnosis instructor at Mind Matters Hypnosis Centers in Avon, Guilford and North Branford, CT. She is Board Certified by the National Guild of Hypnotists and has numerous additional certifications in all aspects of hypnosis and the subconscious. In addition, she’s a sought-after lecturer and high-level Executive HypnoCoach. For more information or to schedule a lecture, workshop or appointment, call Mind Matters Hypnosis Center at (860) 693-6448 or visit: MindMattersHypnosis.com.